Category Archives for "Dog Training Tips"
I live in a city that was named Dog Town USA. We have lots of paths, trails, and dog parks for our dogs to roam. Every day, I take my two dogs running with me on our local trail. The other day, we were doing our usual routine: effortlessly moving left, moving right, and occasionally slowing due to congestion. A walker stopped to tell me how “well behaved” my dogs were, and that she couldn’t imagine her own dogs ever behaving so well. This comment made me think about how my dogs became this way. First and foremost, dogs communicate through the owner’s energy. Basically, they feed off the owner’s mood. Tension from holding the leash tightly transfers right down to the dog. A dog picks up on the owner’s mood. The dog’s behavior during a walk will reflect that mood further. Time spent walking one’s dog should be a positive bonding experience. Dogs need to greet other dogs properly. Their communication is through sniffing. They should start at the back and work their way to the front. Sniffing the back end sends valuable information about the other dog, including its gender, age, and health. Starting out, the dogs greeting time should be short (less then 5 seconds). 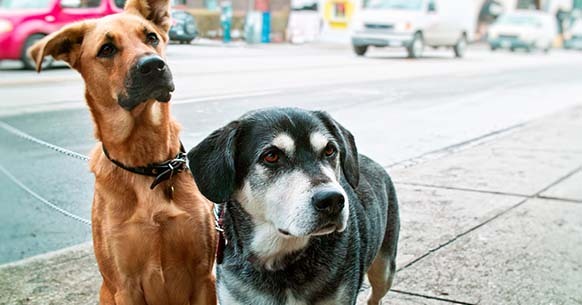 Watch your dogs’ behavior for clues of stress. If a dog’s tail is down or his hair stands up at its haunches, the owner should take the dog away. Verbal communication is valuable to make that great connection with our dog. They will learn good behavior from the owner, or unwanted “dog” behavior if left with faulty communication. If a dog is not told what is right, he will naturally be self-rewarding. Everyone tends to learn more effectively through positive praise. Speak with a positive tone of voice, have fun. Create a positive environment. Dogs focus on movement. If you keep them moving they will focus on the walking with you instead of what is moving past them. If the owner stops, the dog will focus on the more interesting things. I cue my dogs with “on by” to know they need to go passed the distraction. 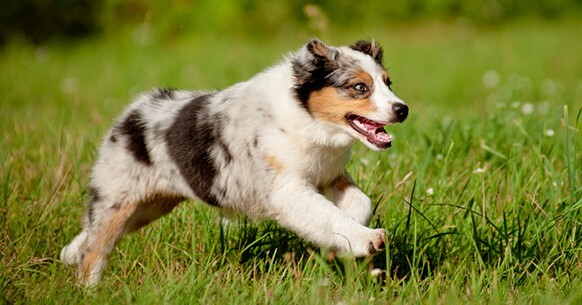 While out on the path, owners can work on connecting with their dog when faced with distractions, such as certain people or dogs walking by. For example, the “Puppy push up” (sit and down) interspersed with a stand to keep the dog focused. Take treats to have better focus, the higher value the better. I also like teaching dogs “on by” and teaching them “left” or “right” when faced with crowded areas. A good dog is a happy dog. Fun, Effective Technique To Get Your Dog To Come … The Rocket Launch! I want to tell you about something that is extremely important, something that could literally save your dog’s life one day … and something that is easier than cooking Popcorn! What is it you ask? It’s teaching your dog to come after hearing his name. But you’d be surprised to know that most dogs have never been conditioned to respond to their name. Most people simply assume their dog know their name because “we” as humans do. 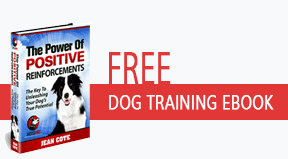 This exercise is great for teaching your dog to come to you after hearing his name. I remember teaching this to a friend a little while ago, and in a weekend their dog would come running to them like had just been selected on the “Price is Right”. She did the exercise with her son. They would call their dog’s name and give a treat after he came to them. That’s it. But then they built upon the exercise, started creating distance between each other until they were in separate rooms. Then they even practiced on two different levels of the house – meaning one of them was upstairs and the other downstairs. So if they could teach their dog to respond to his name in one weekend, surely you can too! Make sure that you give your dog something that he values when he comes to you, most dog loves food but it could be other things like playing, petting and giving attention. Your dog’s name will become a conditioned cue to get your dog to come to you, meaning that if you use it uselessly around the house without giving your dog a reward, it will lose its effectiveness. If you say “FIDO, GET OFF THE COUCH!” or “FIDO, DOWN!” or “FIDO, GO GET YOUR TOY” then the word “Fido” does not mean to come to you anymore, and you are using it to get your dog’s attention. Do not use your dog’s name unless you want your dog coming to you. Train your dog to the command “COME” instead of his name. Use a nickname whenever you don’t want your dog to formally come to you.. Personally, I practice all three solutions with my dogs. I don’t use their names unless I want them to come to me, and they’re also conditioned to respond to the “COME” command, and I use little nicknames around the house for them. Go ahead, give it a try with your dog! Seriously … just do it, it will work! When I was a child, I remember going to a friend’s house, and his family had this incredible Border Collie as their family dog. This dog had so much energy, he always wanted to play and absolutely loved to play fetch. To me, this was the coolest thing I had ever seen! One impressing thing that I remember, was my friend biking to the park and having his dog run behind him, without even needing to use a leash. Then they had lots of fun while playing fetch together for what seemed like an eternity. This short yet very inspirational experience left me in “awe” and I desperately wanted a dog. But it wouldn’t be until 15 years later that I got my first Border Collie… I named her Chase because I wanted her to chase balls. Once I brought Chase home as a puppy, I immediately noticed that she was extremely timid and scared of everything. I had to constantly reassure her that everything was going to be okay and that she was in good hands. But one thing that I promised myself at the time, was that I would do everything possible to help Chase associate massive pleasure with toys.I did many different exercises with her, and today she absolutely loves toys … even more than treats! So in this short e-mail, I will talk about the ways with which I accomplished this, so that you can have the same kind of success with your dog. I think the most important thing that I did, was to make a BIG deal whenever Chase played with any of her toys. I literally cheered like I had won the lottery or been selected on the “Price is Right” whenever she started playing with her Kong, tennis ball or stuffed animal. She quickly realized that playing with toys got her lots of attention from me, and so the behavior of playing with the toys grew and became a way of life for her. Then… I made playing with the toys even more exciting! I triggered her chasing instincts by moving the toys on the floor so that she had to run after it to get it. I remember one time tying a rope to one of her plush toy and dragging it across the room for her to chase – it was so much fun! But the key to this exercise … is that I never let her decide when the game was over. I would always end the game while my dog was highly engaged in playing with me. So that I knew next time we played together, she would put even more energy into it. I would always end the game by saying “That’s it!” .. and run outside to changer her state of mind. This way she associated me taking the toy away as something positive and fun … going outside with dad! Well, now it’s your turn! 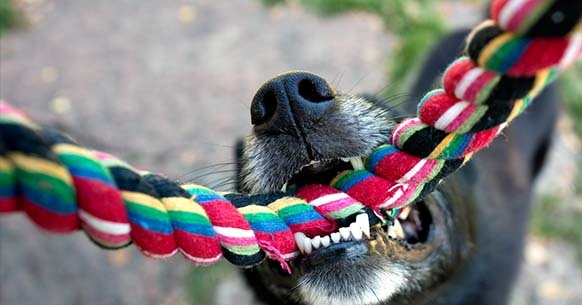 I guarantee that if you practice this simple exercise for a week that you will see a difference in your dog’s enthusiasm with playing with toys. Give it a try … It’ll only take 5 minutes! When I first started learning about dog training, I was totally overwhelmed by the vast amount of information available. It was so confusing, even the top dog trainers in the world disagreed with each other on which training method was better. So… Which one is right? And who should I listen to when training my dog?! To be totally honest with you, I was confused. So I decided to go to my local dog training school and do what they told me. Their training methods were a mixture between the two; they would punish the dog for bad behaviors and reward the dog for good behaviors. I was at a local agility ring, and my dog Onyx (a Siberian Husky) was pulling on the leash very hard, as she wanted to go play with another dog. So I did as I had been told, and I yanked on the leash to correct my dog for the bad behavior. But I could tell that the yanking really hurt my dog, she was moving her tongue as if the yanking on the leash made her bite it. I kept convincing myself that this was the proper response, because that’s what the trainers had told me to do when she pulled on the leash. But was it? Was there an alternative? And my answer was eye-opening! Because I wouldn’t want to be trained with corrections like I was doing. So I made the decision to learn how the experts in positive reinforcements training were able to train their dogs. And what I discovered was that you really don’t need to correct your dog, you simply need to build the good behaviors strongly enough that it becomes second nature to the dog. And that’s what I’ve been doing ever since. 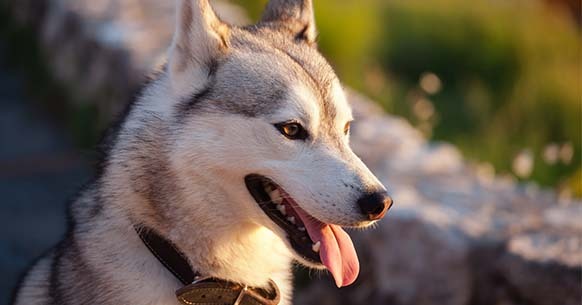 So it is my hope with this e-mail that you will learn from my mistakes, and also learn a new way of training your dog … because in the end, I think what we really want as dog owners is to have a dog that is happy and behaves nicely. We can have both!